What our Accounting service has to offer? Tahas takes pride in offering top quality accounting services while sustaining deadline and format of clients. Our dedicated and skilled professionals have efficiency to prepare accounts in a precise manner and deliver them on timely basis. The additional advantage of our service is that you can acquire valuable advice on useful software and system that can ultimately help clients to take best business decision. The ability to transfer data between multiple systems has allowed for a significant amount of automation, due to accounting apps. Setting up a business is not a daunting task, but managing administration may consume a good amount of time as it involves monitoring of bank balances, issuing invoices and other related tasks. Being reputed and Certified Accountants in London we offer you with best services that save time, money and energy of your business. We take into consideration all your business requirements before offering solutions. In addition to the annual closing of accounts, we end our accounting periods on monthly basis. This is beneficial as it allows each department to see their finances every month with accurate assistance and do the needful. In case you are having accounting back log for several months or years, our team of professionals are always ready to serve you. We take up the prospect to complete your accounts details and ultimately come up with financial statements. If you have started a new business and want to have an in house accounting department, Tahas offers you with efficient software service that can provide training to accountants so that apt knowledge can be obtained and helps in managing financial tasks. 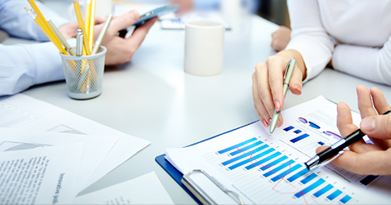 Unlike the other accounting firms in London, Tahas will provide you with opportunity to prepare all kinds of audits. All that we need from our clients is complete support before and after the audit service so that the best outcome can be achieved. Setting up of business is not a difficult task, but managing administration may consume a good amount of time as it involves monitoring of bank balances, issuing invoices and other related tasks. Being reputed and Certified Accountants in London we offer you with best services that save time, money and energy of your business. We take into account all your business requirements before offering solutions.